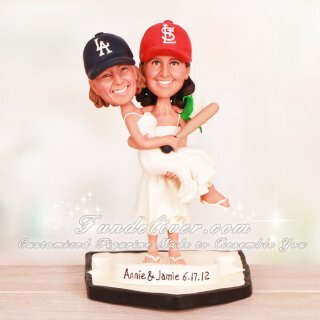 This is a completely customized lesbian theme Cardinals and Dodgers baseball wedding cake topper ordered by one of our customers. It is a lesbian wedding, so both figures are female, wearing their wedding dresses and white flip flops. They would like the groom (actually a female) holding the bride with a bat in hand, all on home plate. 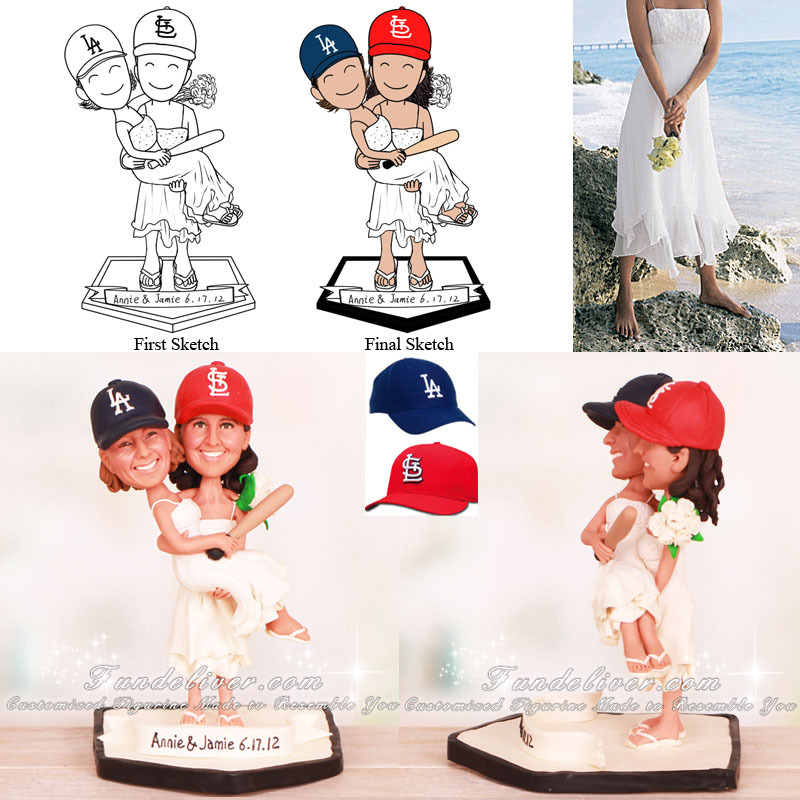 The standing bride (groom) is wearing Cardinals hat and the bride being held is wearing a Dodgers hat, holding a bouquet of white roses. Also they would like a ribbon on home plate saying "Annie & Jamie 6.17.12".